But adversity breeds strength, and “dusky-complexioned” Maya has spent her childhood and adolescence reading mythology and history, spying on her father’s councils, and weaving magical stories for her beloved half sister. 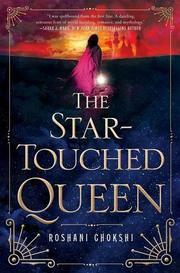 When her father asks her to sacrifice her life to save their kingdom, Maya has no choice. And then, at the moment she is to drink poison, a mysterious, handsome stranger appears and whisks her away to the Otherworld, the place of demons and magic. What follows is a play on the classic love-betrayal-redemption arc of Cupid and Psyche or Beauty and the Beast. Chokshi’s rich, descriptive writing weaves a lush web that almost hides the lack of character development; this is a book exclusively concerned with telling, and style overwhelms substance throughout. But a swoony romance, betrayal, and a journey to power and self-affirmation, with a slightly wicked, slightly funny animal sidekick in the best tradition (think Garth Nix’s Mogget as a crimson-eyed horse), work together to create a spell that many readers will willingly succumb to, flaws and all.